Could London’s booming population start to fall? In his foreword to his draft London Plan, Mayor of London Sadiq Khan writes of London’s population growing by 70,000 every year, to reach 10.5 million in 2041. Population growth has been London’s big story for the past 30 years. Growth assumptions underpin the business case, and increasingly the funding strategy, for everything from affordable housing delivery to major infrastructure projects like Crossrail 2. But could these be wrong? Could a toxic mix of falling immigration and priced-out professionals slow or even reverse London’s growth trajectory? Population projections – like all predictions – tend to be either lucky or wrong. As Tony Travers observed in a recent edition of Centre for London’s London Essays, population projections underestimated London’s decline in the 1960s and 1970s, then missed the first signs of recovery in the mid-1980s when London’s shallow growth was dismissed as a blip in the pattern of decline that cities were expected to pursue. But growth continued, gathering pace through economic cycles of boom and bust. London’s population growth is not a single process, but the product of great surges of people arriving and departing, at airports and stations, maternity wards and hospices. 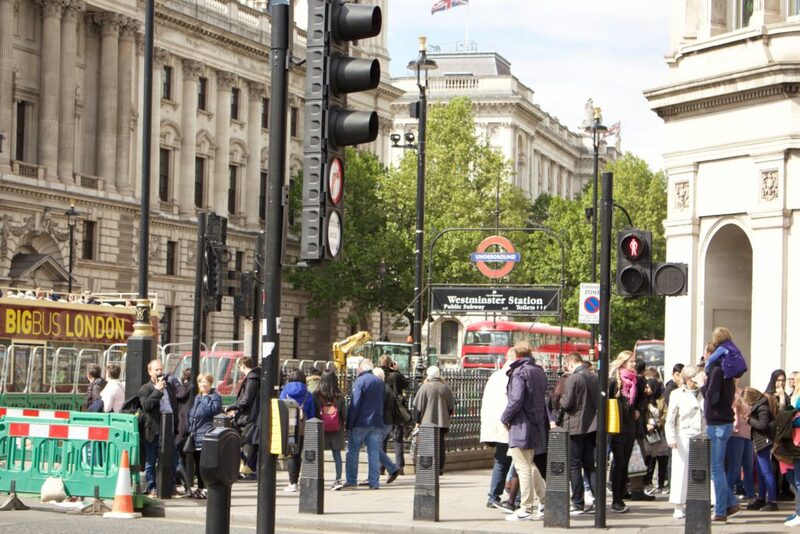 In mid-2016 London’s population was estimated, on the basis of passenger surveys and NHS registrations, to have grown by around 110,000 in the preceding 12 months. The components of this growth were as follows. This pattern has been pretty consistent in recent years: young UK residents move in to London from across the country, but more move out every year – generally to south east England. This domestic net migration from London is countered by international migration to London, and the city’s young age profile is reflected in a surplus of births over deaths. There have been variations: in the years of the financial crisis, domestic out-migration slowed, perhaps because the credit crunch meant thirtysomethings were unable to get mortgages and so were stuck renting for longer. And the years since 2014 have seen a spike in international in-migration, potentially driven by the lifting of restrictions on Romanian and Bulgarian workers. Could Brexit disrupt these flows? There are already some signs that things are changing. In November 2016, the Office for National Statistics’ latest estimates of net long-term international migration showed a sharp fall of 38 per cent in London. The figures are only estimates, with wide margins of error, but the ONS assessed the fall as being statistically significant. It may be a blip, but could it signal a longer-term change? Other indicators certainly suggest a slowdown: the number of foreign nationals registering for a national insurance number when they arrive to work in London dropped by 20 per cent between the beginning of 2016 and the beginning of 2017, with European nationals accounting for most of the decline. Bringing the UK’s international migration down to “tens of thousands” as the Government has pledged would therefore have a big impact on London’s population, and it looks as if the mere prospect of tighter controls is already having an impact. Would this be offset by more people coming to London from the rest of the UK, and fewer leaving? Previous research has shown that when international migration declines (generally in recessions), domestic out-migration also slows, keeping population levels up. But this depends on the balance of push and pull factors remaining constant: as long as London offers economic opportunity, people will come here; as long as it remains an expensive and tough city to live in, people will leave. Net out-migration has been rising since 2009 – from 30,000 to more than 90,000 – but it still has some way to go to attain its previous peak of 110,000 in 2004. So what about births and deaths? The number of deaths in London has been pretty constant – around 50,000 Londoners die each year – but the annual number of births has climbed from around 100,000 to around 130,000 in the past 15 years. However, “natural increase” replenishment of London’s population has also been affected by immigration: 70 per cent of babies born in London in 2016 had one parent born overseas. Reducing immigration levels could, therefore, have an impact, in the long term, on that part of the picture too. When London’s population started to recover in the mid-1980s after four decades of decline, it was driven first by domestic migration and then by accelerating international migration. Since then, momentum has grown, as freedom of movement, an internationalised economy and cheap air travel have combined to open London up, creating a city where 800,000 people – 10% of its population – arrive every year, and only slightly fewer leave. But there is nothing inevitable about continued growth. It is perfectly possible to imagine a scenario where falling international in-migration and rising domestic out-migration combine to stop London’s growth in its tracks. If net international migration fell back by 20% a year, it would fall to around 65,000 in three years’ time – only slightly lower than its level in the early 2000s. If this was combined with a growth in internal out-migration to its previous peak, and a slight dip in births, London’s population growth could be reduced to just 17,000 by 2019 and could go into reverse the following year. This is all highly speculative. We are still in the dark about the nature of Brexit, let alone its impact: London is still creating jobs and attracting inward investment, though business confidence remains fragile. The long-term change in international migration may be negligible, or may be counterbalanced by domestic movement. London may continue to thrive economically, preserving and enhancing its offer to businesses and talented people from across the world, or its service sector economy may take a hit; academic research in recent months has suggested both that London will be hardest and least hard hit by Brexit. London property prices may resume their stellar trajectory, or may cool off to allow wages to catch up. It will only be in the next few years that we understand whether Brexit checks, stalls or amplifies the phenomenal population boom that London has experienced over the past 30 years. Richard Brown is research director of the capital’s dedicated think tank Centre for London, a friend of this website. Richard has also written for On London about London songs. Photograph by Max Curwen-Bingley.